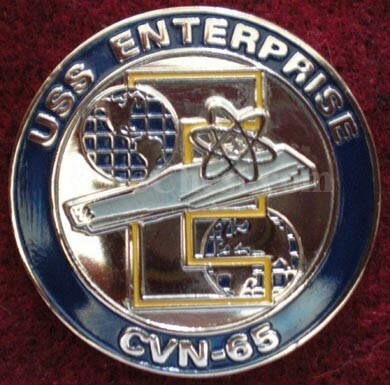 This is a challenge coin for the USS Enterprise CVN-65. One side depicts the Enterprise and the other a flag stating, "Don't tread on me." 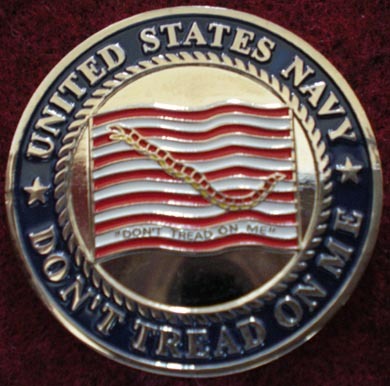 The coin is silver in color with red, white, blue and yellow enamel work. A nice collectable by itself or with a group. Please email me for the shipping costs.